There are some co-op concepts I can get behind. Like the horde/director mechanics behind games like Left 4 Dead and Warhammer 40k: End Times - Vermintide. Developer Ragiva Games is taking those concepts and applying them to their side-scrolling arcade shooter, Cyborg Rage. If you're interested in checking out what that looks like, then you'll get your chance this weekend. The game, which is currently working to get onto Steam via Greenlight, supports two player online co-op where you and your partner fight through waves of enemies that are generated in waves similar to how they were in Left 4 Dead. In addition, some of those waves will contain special/super enemies that are tougher to take down. 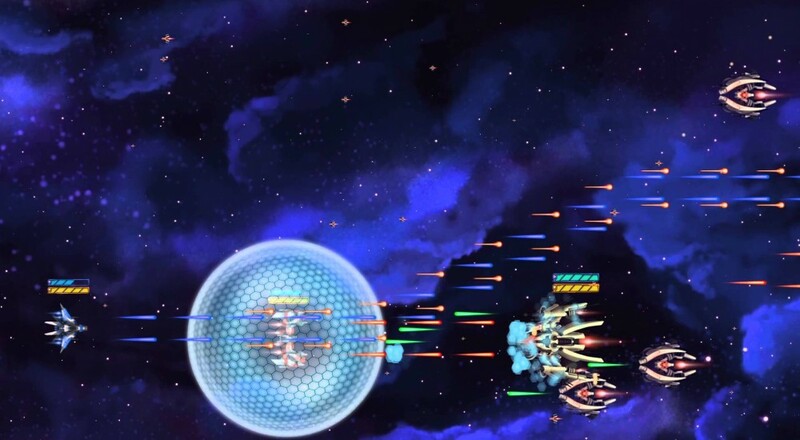 As with any good side-scrolling shooter, you'll be able to choose from three different ships (each with their own strengths and weaknesses) and upgrade them as you progress. You can sign up for the open beta at the Cyborg Rage website and hopefully enjoy an amusing diversion this weekend. Page created in 1.2034 seconds.